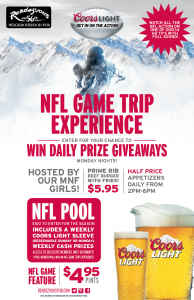 Come join the Coors Light Girls every Monday to watch your favorite teams with full sound on one of our 14 HD TV’s, win prizes and enjoy great food and drink specials! 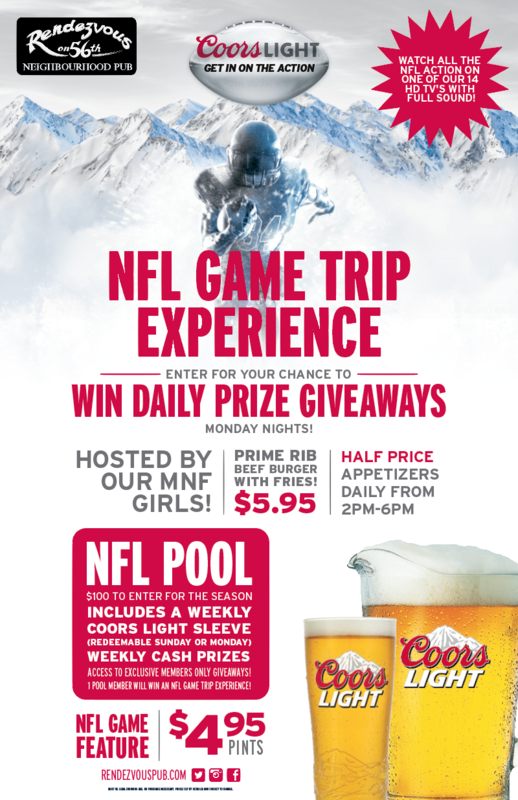 Jersey giveaways every Monday, Prime Rib Beef Burger-$5.95, Coors Light Pint-$4.95 and Half Priced Appies from 2-6pm Daily. 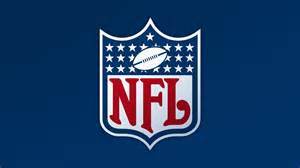 Join our NFL Pool! There are weekly prizes as well as 1 lucky member winning an ultimate NFL Trip Experience!